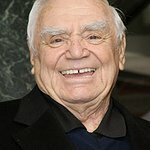 Borgnine served a year as the Chairman of the National Salute to Hospitalized Veterans, visiting patients in Department of Veterans Affairs medical centers. Ernest Borgnine has passed away, but we remember his charity work. Google trends for "Ernest Borgnine"
We don't have any videos related to Ernest Borgnine.